Hoddom has passed through the hands of the Earl of Annandale (17th century), the Earl of Southesk (1653), John Sharpe, Dumfries burgess (1690), Charles Kirkpatrick Sharpe (1769), Lt General Matthew Sharpe (early 19th century), and Edward Brook, Huddersfield mill owner (1877). The 19th century additions are in use as offices and are not at risk. 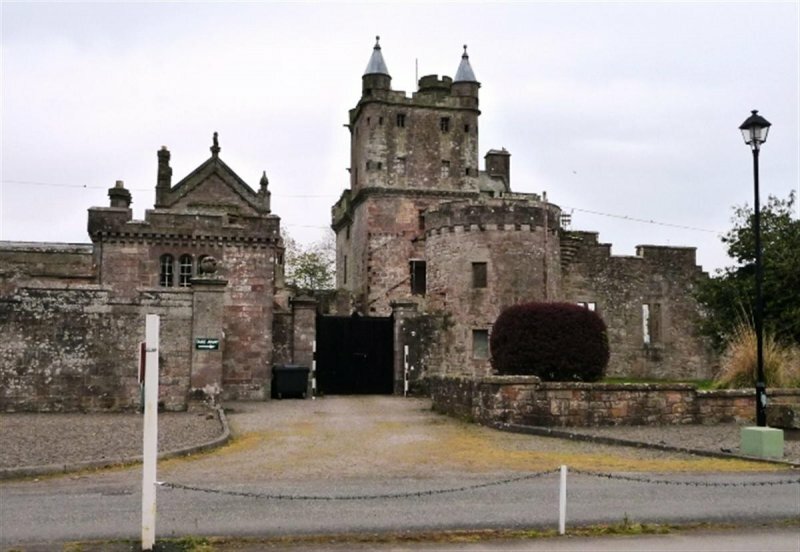 May 1990: External inspection reveals the tower to be unoccupied and unmaintained, although the 19th century additions are in use as offices for the nearby caravan park. 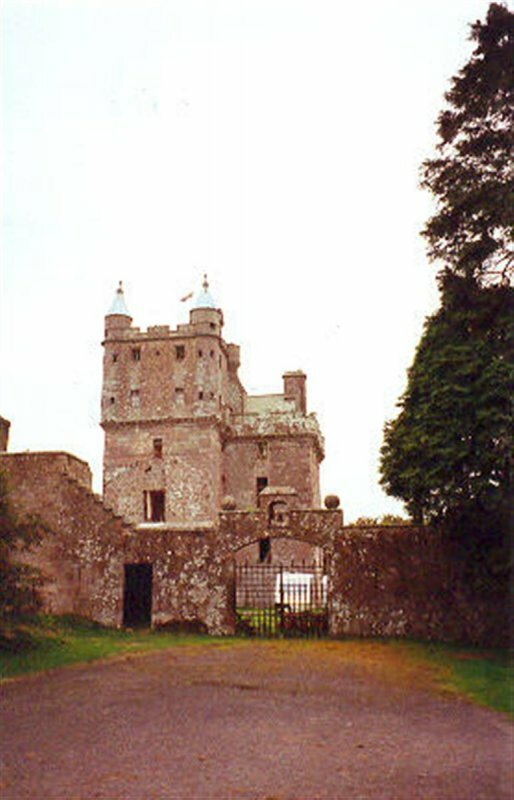 The tower has been unoccupied since the war, when it was requisitioned by the military. 18 October 1990: Press reports note that the site is proposed for a £50 million golf development by Leading Leisure of Southampton. 600 chalets would be built in the grounds. Outline Planning Permission is subsequently granted, but the developers go into liquidation. March 1992: SCT understands that Belgium-based Sun Parks International is currently preparing detailed proposals for a leisure development on the site. January 1995: SCT understands that Sun Parks International has now abandoned its plans. August 1998: The renewal of Outline Planning Permission is sought. SCT objects to the size of the proposed development which includes a hotel, conference centre, sports and leisure complex, caravan park, 2 golf courses, and an equestrian centre. 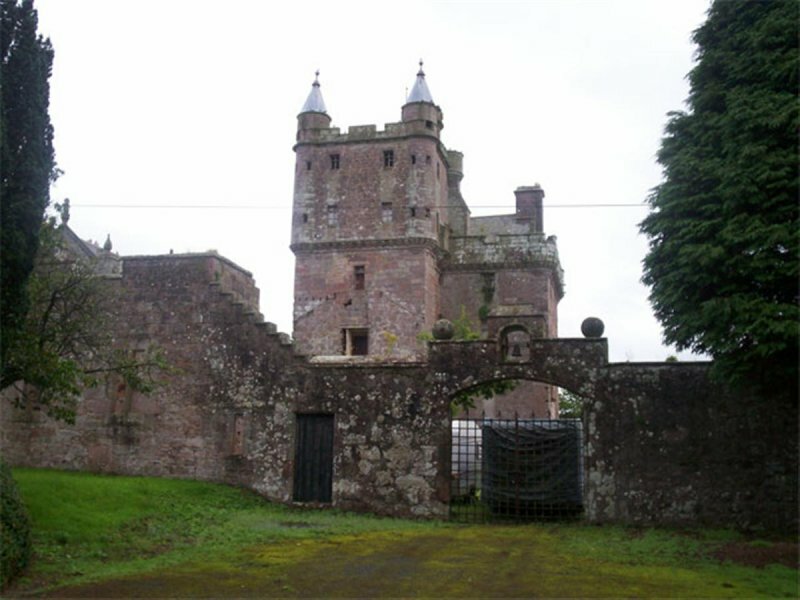 25 September 1998: The Dumfries and Galloway Standard reports that renewal is being sought by Hoddom and Kinmount Estates. 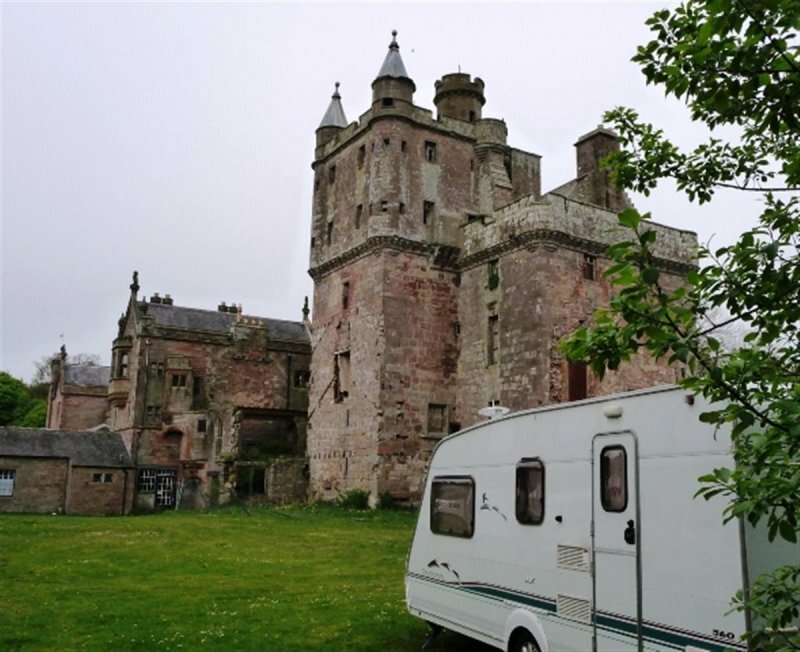 Local planners are recommending approval and the plans are supported by the Dumfries and Galloway Tourist Board. 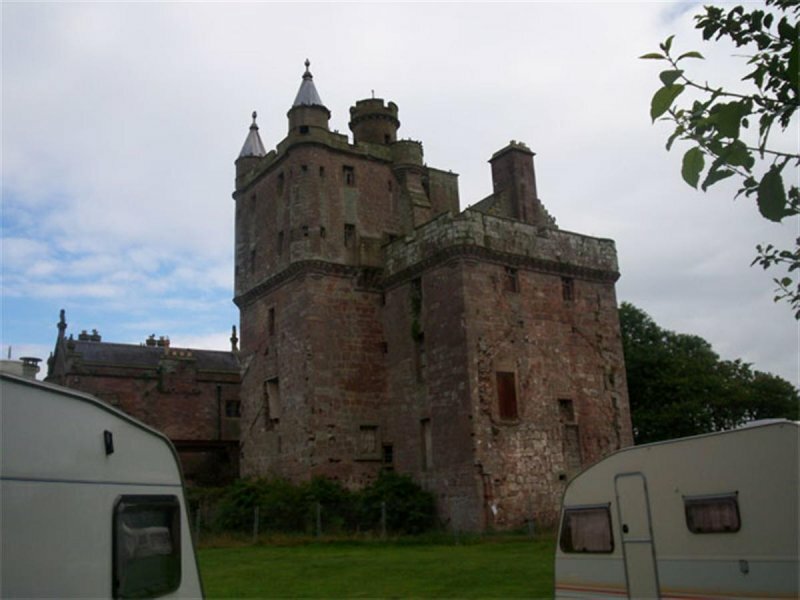 July 2005: the castle is within the grounds of a very well presented caravan park. 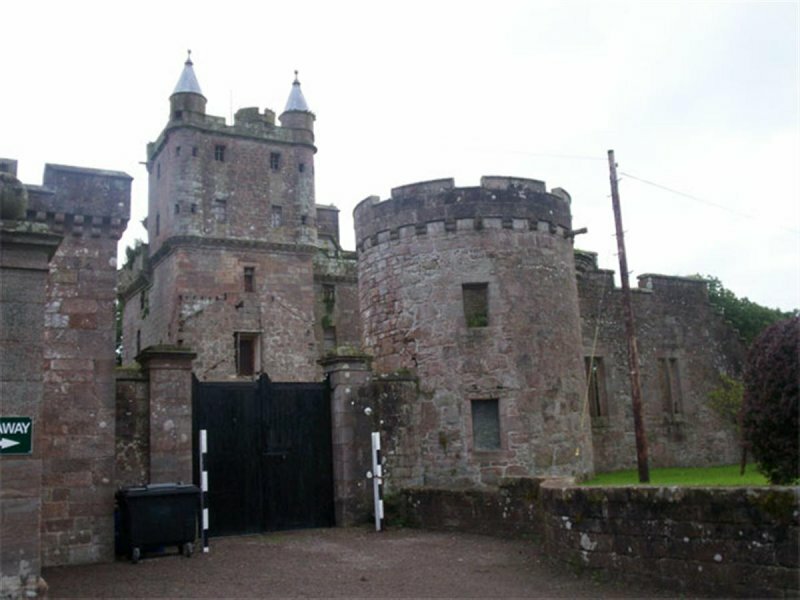 August 2008: Outline Planning Application lodged for the redevelopment of Hoddom Castle comprising the erection of a hotel and conference centre with ancillary leisure facilities and parking provision, the erection of up to 530 holiday cottages/lodges and 50 dwellinghouses, removal of derelict structures and renovation of historical features including formal gardens, walled garden and fountain. Application Ref. 07/P/4/0593. Application lodged 16/11/2007. 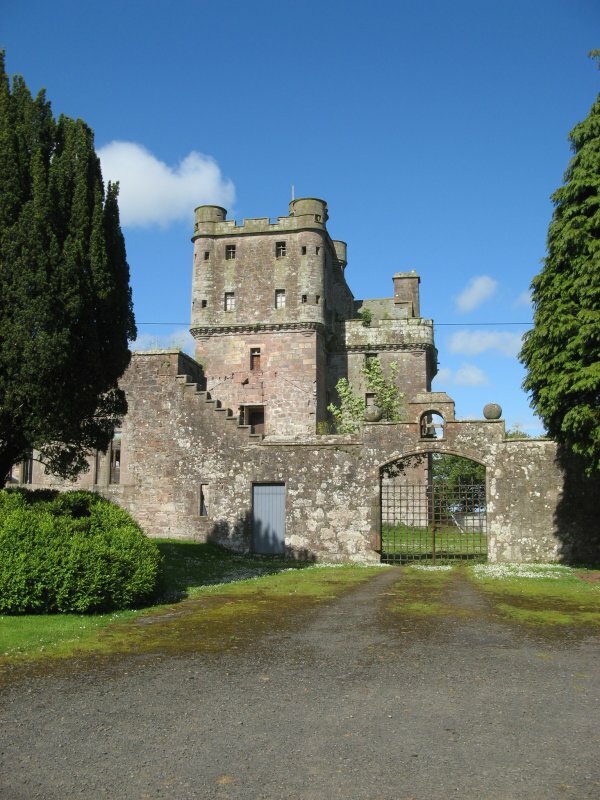 September 2009: Hoddom Castle is included on Historic Scotlands Scottish Castle initiative which is designed to encourage investment in this aspect of Scotland’s built heritage by providing advice on processes and best practices, and by offering exemplars of successful past projects. Further information is available on Historic Scotlands website (see Web Addresses Section below). May 2011: External inspection finds no significant change from the previous site visit. Staff report that stabilisation work occurred in late 2008 or early 2009, outwardly the building appears largely unchanged. Outline planning permission for redevelopment of the estate was granted conditionally March 2009. 10 June 2014: External inspection finds the building in much the same condition as seen previously. Part of an ancilliary building is in use of a bar/ cafe for the holiday accomodation within the former grounds. Gifford (1996), pp343-346; Hume (2000), pp127-128; Hyslop (1912), p320; Lindsay (1986), pp280-282; MacGibbon and Ross (1887-), vol. II, pp137-139; Maxwell-Irving (2000); Salter (1993), pp171-172; Stell (1986), p96; Tranter (1962-1970), vol. 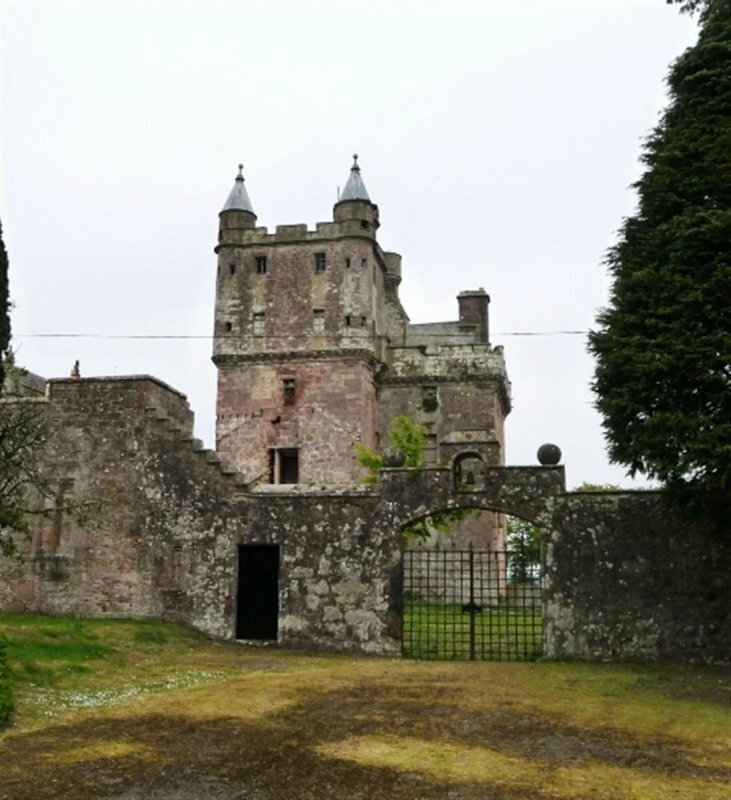 III, pp83-85; Eastern Dumfriesshire (1997), pp195, 252, 312; Proceedings of the Society of Antiquaries in Scotland (1987), vol. 117, pp183-217; Transactions of the Dumfries and Galloway Natural History and Antiquities Society (1982), vol. 57, pp70-71.